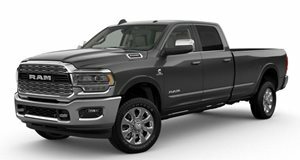 The recently launched 2019 Ram Heavy Duty pickups and Chassis Cab trucks introduced a whole host of new tech and updates to the segment that all aim to thrust it to the front of the pack. "In launching the new 2019 Ram Heavy Duty pickups and Chassis Cab trucks, we knew it was important to offer class-leading capability, features and technology. But it's also important to offer our great products at a competitive price,” said Reid Bigland, Head of Ram Truck Brand – FCA. "We feel that we've delivered the right mix that Ram Truck customers - across a broad spectrum - will appreciate." Without that competitive pricing element, even the most advanced truck is going to be a tough sell in such a cutthroat market. The good news is that they have done their sums right and the 2019 Ram pickup models compare favorably with rivals like the Ford F-250 and F-350 Super Duty models and Chevrolet Silverado HD trucks. The base Ram 2500 4x2 Regular Cab has an MSRP of $33,395 which is just $245 more than Ford’s equivalent entry-level F-250 XL. That is just the starting point though as there are 29 2500 HD and 28 3500 HD pickup variants to chose from, offering three cab styles, five trim levels and two wheelbase lengths in either two or four-wheel drive. The range tops out at with the Ram 3500 Limited Mega Cab 4x4 which is $67,050 excluding destination charges. The rough terrain conquering 2500 Power Wagon is priced at $52,900 while the luxurious 2500 Laramie Crew Cab in SWB form starts at $52,000 or $59,200 for the even more sumptuously equipped Laramie Longhorn. 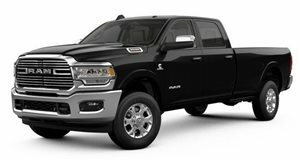 These prices include the standard 410-horsepower 6.4-liter HEMI V8 engine with 8-speed automatic transmission, add another $9,100 for the optional 370-hp, 850 lb-ft 6.7-liter Cummins Turbo Diesel with 6-speed automatic transmission or if you have a 3500 HD, $11,795 for the class-leading High Output Cummins Turbo Diesel which makes 400 hp and a massive 1,000 lb-ft of torque. Other highlights of the Ram Heavy Duty range include the highest towing (35,100 lbs.) and highest payload (7,680 lbs) rating in its class and features such as adaptive cruise control, forward collision warning as well as trailer reverse guidance and a cargo-view camera. With prices closely matching key competitors, a broad model range to suit most needs, as well as features and capabilities that either match or surpass segment leaders, the Ram HD range is well placed to increase its market share this year.